Losing your memories is one thing, but attempting to pretend not to have lost them is something else entirely. Touma Kamijou has lost his memory since rescuing Index, and it’s proving to be very troublesome! With little downtime from his previous trial, Stiyl Magnus once again approaches Kamijou, this time with a new problem: an alchemist by the name of Aureolus has managed to obtain the vampire-slaying power of Deep Blood, and appears to be up to be using it for research of dark subject matter. Once again, the Imagine Breaker will be needed, and Kamijou is thrown back into the world of magic. Index’s first volume merely felt like a sort of prologue to a much larger story, and although it’s hard to pinpoint just what that story is yet, I can confirm that the first volume most definitely functions as a prologue. Following the previous book’s events, Touma Kamijou has completely lost his memory. He retains his textbook kind of knowledge, but actual memories are completely gone. For reasons that not even Touma himself quite understands, he decides to keep this under wraps when interacting with people from his previous life, namely Index. This is one of the two primary narrative strengths of the second volume. Having a protagonist missing his memory is nothing I haven’t seen before, but the thing is the readers have already experienced what he has forgotten. Now that is something interesting. The dynamic of seeing Touma’s perspective as he tries to figure out who people are and what they meant to him in the past is a defining point of the storytelling this time around, and one that melds well with the rest of the story while setting Touma apart slightly from other protagonists of similar stories, although as of this volume he has yet to develop much else to distinguish himself. The actual story in Index’s second volume focuses on the magical side of the scientific/magic world that the story takes place in, specifically in a field of magic called Alchemy. I enjoyed how the world building focused primarily on introducing new methods and structures in the realm of magic, and I get the vibe that the series will continue the introduction of new elements to both sides of the world in each volume moving forward. The primary conflict revolves around the goal of alchemy called Ars Magna (the ability to transmute anything with your thoughts) and the use of the vampire-killing magician with the ability ‘Deep Blood’. Both of these were fascinating topics that the author Kamachi delved into interestingly. However, the most interesting element and second of the narrative strengths I mentioned towards the beginning of this review is what really drove the volume. The actual ‘villain’, Aureolus, is effectively a foil for the Kamijou. While Kamijou succeeded in saving Index previously, Aureolus was a companion that failed to do this and went down a dark path following his failure. Seeing the narrative comparison between them (as well as the interesting illumination on the part of the author in the afterward) was the most lasting appealing facet of the story for me personally. Before beginning A Certain Magical Index, I wondered how a series could be 24 books long and include as many spin-offs as this one. However, I think I have gotten a pretty decent idea after reading this second volume. As more conflicts appear, more of the vastly complex world of science and magic is explored, and Touma Kamijou’s forced involvement in its affairs continues to make for interesting reading. A Certain Magical Index Vol. 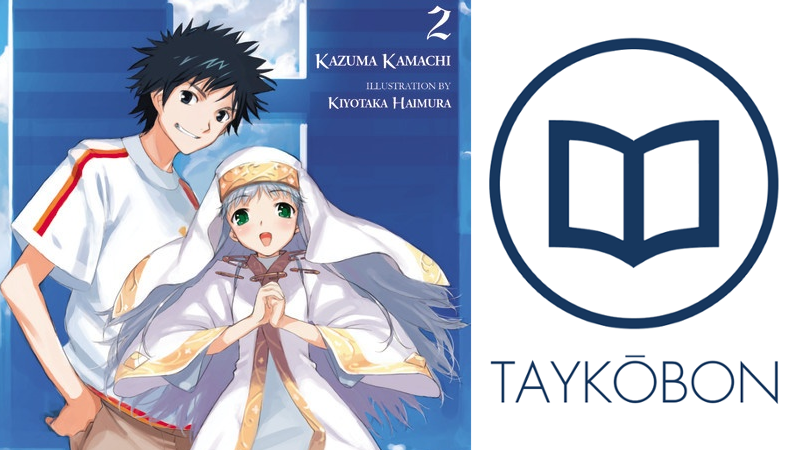 2 was authored by Kazuma Kamachi and published by Yen Press on February 24, 2015. A Certain Magical Index was an ongoing series in ASCII’s Dengeki Bunko imprint, and received two anime adaptions by J.C. Staff in Fall 2008 and Fall 2010. Volumes 3 & 4 are currently available in English and volume 5 will release in North America later this year.